A Normal Size, Thin, Colorful, Well Made Friley Arrowpoint That Exhibits Surface Sheen And Stone Aging Coloration Patination, Correct Eared Style Base And Flaring Shoulders, Deep Aged Stained Hinge Fracture, Overall Aged Surface Patination, Visible Surface Deposits And Overall River/Stream Polish, Correct Material And Manufacture For The Area Found. Ex-Lonnie Hartline Collection. 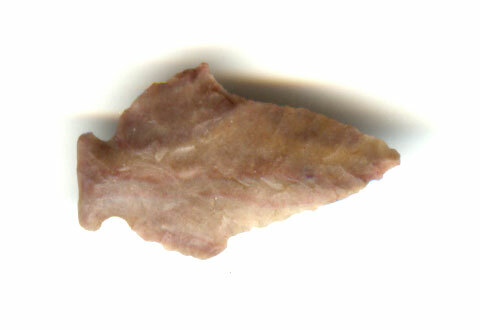 Friley Points Are Found In Northwest Louisiana, Northeast Texas, South Arkansas, And Rarely In The Attached Little Dixie Area of Oklahoma. This Is A Highly Collectible Artifact, Displaying Age And Use! Includes A Ken Partain Certificate Of Authenticity.